Why is Anonymous Ads good for advertisers? You don't need to spend your time entering useless data about yourself, and we can't leak it or spam you. Just find or create an ad, start a campaign and deposit money (bitcoin only). Yes, we have lots of cheap traffic. Often bitcoin-related traffic. Sometimes insanely cheap traffic. And yet it generates sales. We have thousands of sites and serve ads to ~1M globally unique IPs daily. You may receive more traffic than we show on your campaign's stats page since we show only globally unique IPs there. Set your daily budget, we'll distribute them among ad units with respect to their traffic and your targeting. Your expenses depend on you, amount of traffic you receive depends on market situation. We are not pay-per-click or pay-per-impression network. Publishers don't have financial incentive to fake clicks and you don't pay for them. You can see our global stats, stats of other advertisers, stats of ad units. We have nothing to hide. You have control over your advertising campaign. Advertise everywhere, or limit your campaign to particular categories, sites, ad units. Track and ban ad units you don't like. 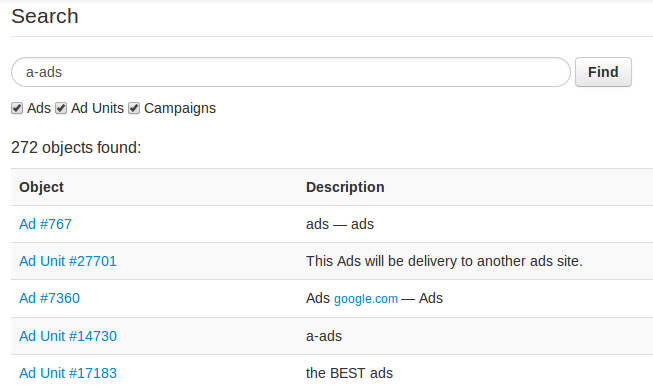 You can track which campaign and ad unit brought a visitor to you. You can reward efficient ad units for buyers they attracted (thus increasing your share of their impressions). If you do so, you will be listed here thus creating additional incentive for publishers to show your ads and share your links. Please don't advertise scams, or you may loose your money. How to get cheap traffic with Anonymous Ads? Currently our average CPM is quite low, it is ~0.0002 btc (~0.12 usd) per 1000 of unique IPs. So you are quite likely to receive a lot of cheap traffic unless you restrict yourself to a subset of overpriced ad units or set an inadequately high daily budget. 4. Get cheap traffic! And remember to come back in 10 days since we have no means to notify you about depleted balance. In this scenario you get a share of traffic of every publisher of Anonymous Ads. Perhaps you'll receive a lot of bot traffic, but it doesn't mean you won't receive real visitors too. Make sure your site handles the load (if it doesn't - reduce the daily budget). Just couple days ago this advertiser received 15M impressions from over 250K IPs and 7K clicks from 3K IPs per day for only ~10 usd! Numbers fluctuate, but the average CPM is still several times (or orders of magnitude) lower than in other advertising networks. But you can get even cheaper traffic if you want. 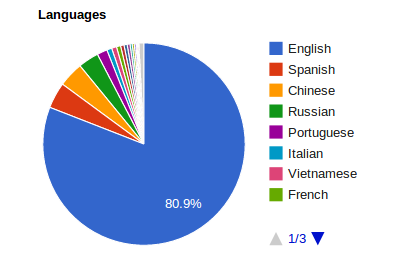 Currently ~20% of our traffic is non-English (Chinese, Spanish, Russian, etc), but we almost don't have non-English advertisers. Hence advertising campaigns in those languages may generate even cheaper, almost free traffic. Please note that Anonymous Ads doesn't guarantee any specific CPM. You may expect a certain value, but it may fluctuate significantly, it may even became insanely high. More bitcoins advertisers spend - higher the CPM. 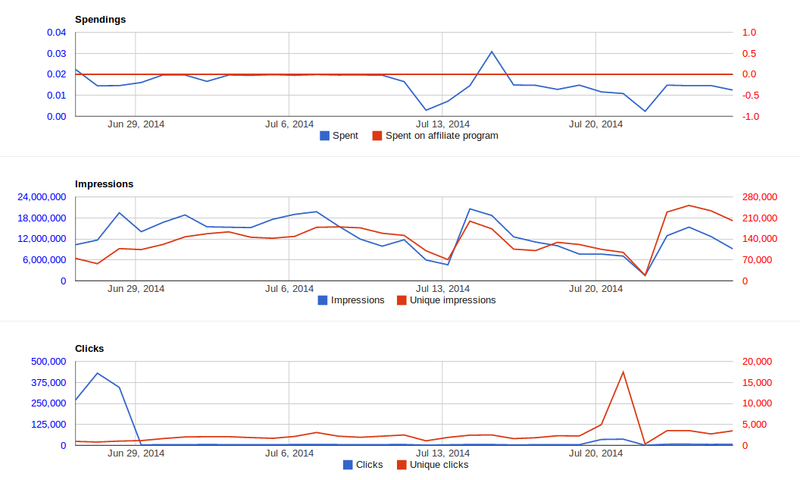 More traffic publishers generate - lower the CPM. Traffic price depends on targeting and market conditions. Please abstain from advertising scam sites, or you may loose your money. We had a technical problem that prevented our advertisers' money from being spent on advertising and thus reduced our publishers' income during 12th-13th of July. We decided to compensate the drop in publishers' earnings by reducing our fees for 7 days. Normally we take 20% of advertisers' budgets as fees, that is equivalent to 25% of publishers' income. Today we temporary reduced it to 2.5% of publishers' income, thus our publishers should earn 22.5% more and get compensated by the end of 22th of July. Results of a site-wide search can be filtered by object type. Convenient search of existing ads upon campaign creation. Advertisers can change ads of existing campaigns. 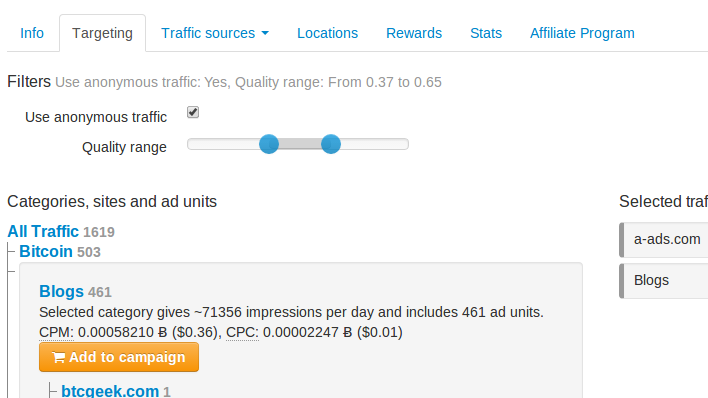 Advertisers can edit their targeting and filter ad units by quality (see Quality range parameter). Our moderators classify publishers' sites by category and quality (normally within 24 hours of ad unit creation).